Publisher: Cassell, London, 1946. Fourth edition. Condition: Hardcover, no dust jacket. Fair. Significant foxing and tanning. Binding tight, text unmarked. 1 colour plates, 95 photogravure illustrations, 3 maps. 428pp. App 9.5″ by 6″. 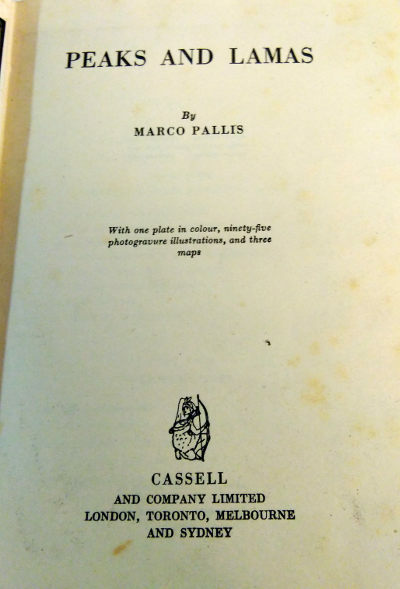 Marco Alexander Pallis (1895 – 5 June 1989) was a Greek-British author and mountaineer with close affiliations to the Traditionalist School. He wrote works on the religion and culture of Tibet. Following the war, Pallis climbed and explored against doctor’s orders for his injured knee. He went on expeditions to the Arctic, Switzerland, and the Dolomites, and Snowdonia, the Peak District, and the Scottish Highlands when closer to home. 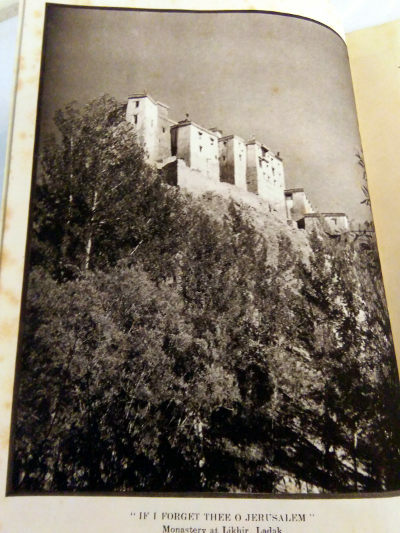 In 1933 Pallis led a small mountaineering party to the area of Kinnaur, one of the Himalayan borderlands. Near the village of Nako, at the border with Tibet, Pallis and his team succeeded in making the first ascent of Leo Pargial (22,280 feet). 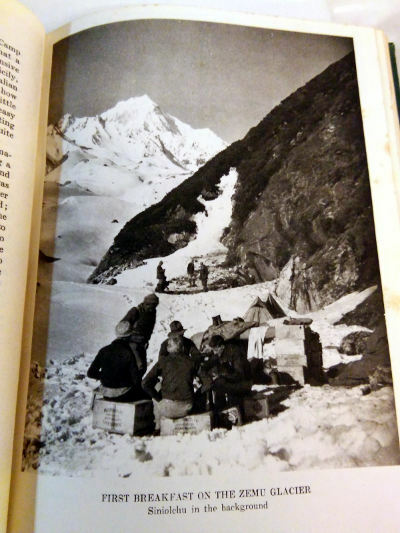 In 1936 Pallis returned to the Himalayas at the head of another expedition. His party traveled first to Sikkim, an “antechamber of Tibet”, where their failure to scale the summit of Simvu (22,360 feet) was, at least for Pallis, more than made up for by their encounter with the saintly abbot of Lachhen, in whom, according to Pallis, “intelligence, compassion, and initiatic authority were reflected in equal degree”. Pallis published three books over a span of almost forty years. 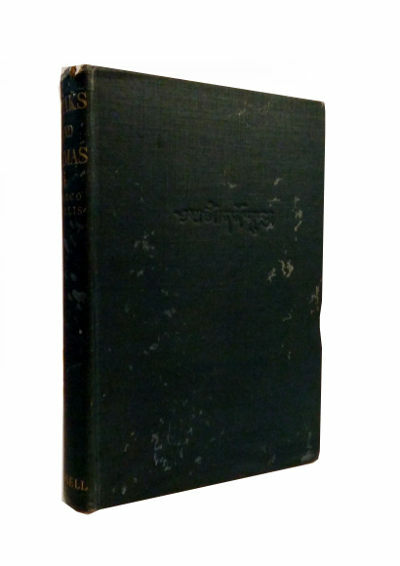 His first, Peaks and Lamas (1939), mentioned previously, tells the story “of how access was gained, across the varying episodes of Himalayan travel, to a traditional world, still complete and vigorous, that of Buddhism in its Tibetan branch”. This was followed by The Way and the Mountain (1960) and by A Buddhist Spectrum (1980), both collections of essays that attempt to deal “with a number of Buddhist themes of prime importance in such a fashion as to make up . . . a coherent view of the world and of a human destiny realizable in this world as seen through Buddhist eyes” Several of Pallis’ essays were also included in Jacob Needleman’s The Sword of Gnosis. 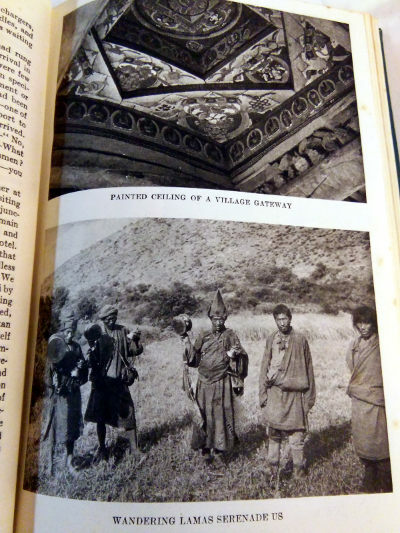 After his final journey to Tibet, while living in Kalimpong, Pallis wrote a short book in the Tibetan language addressing the dangers posed to Tibet by the encroachment of modern culture. In addition to penning his own writings, Pallis translated Buddhist texts into Greek, and translated works of fellow traditionalist writers René Guénon and Frithjof Schuon from French into English. Some of Pallis’ own works have also been translated into Italian, French, Spanish, and Turkish.